Abram lives in Harran, a rich city. 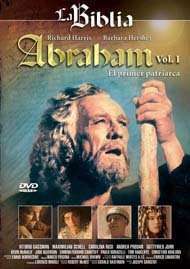 His wife Sarah (Barbara Hershey) is childless, and their only heir is Eliezer of Damascus. One day he hears the voice of God, who says that he must leave Haran and travel to an unknown land. God promises to make a great nation from him and renames him Abraham. The pattern for the plot is the Genesis chapters 11-25. Director of Photography: Raffaele Mertes, A.I.C.